The new DOD Boneshaker is a straight-pipe, hard-tail run down a dirty, choppy road. 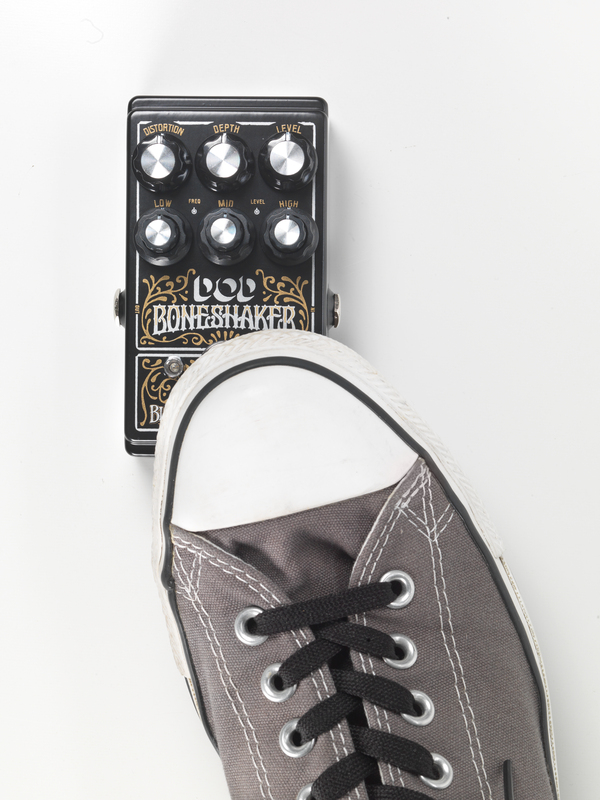 A distortion pedal like no other, the Boneshaker is supercharged with a 3-band Semi-Parametric EQ that drives its gain to add more frequency-specific, gut-punching lows, more bare-knuckle mids and more responsive highs. Basically, more of everything! Black Arts Toneworks designed the Boneshaker’s circuit specifically for extended-range guitars, baritone and bass - anything heavy, loud and low. 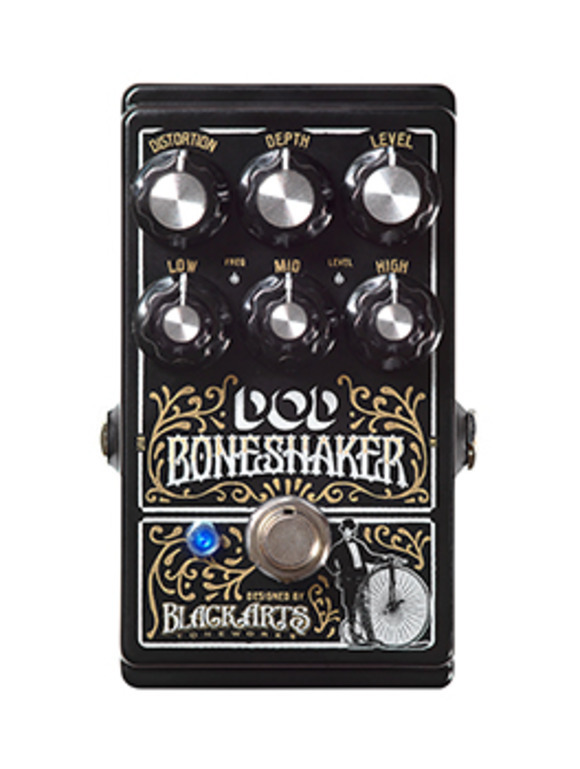 Stacked, solo, into dirty or clean channel, the Boneshaker will shake you to your core. 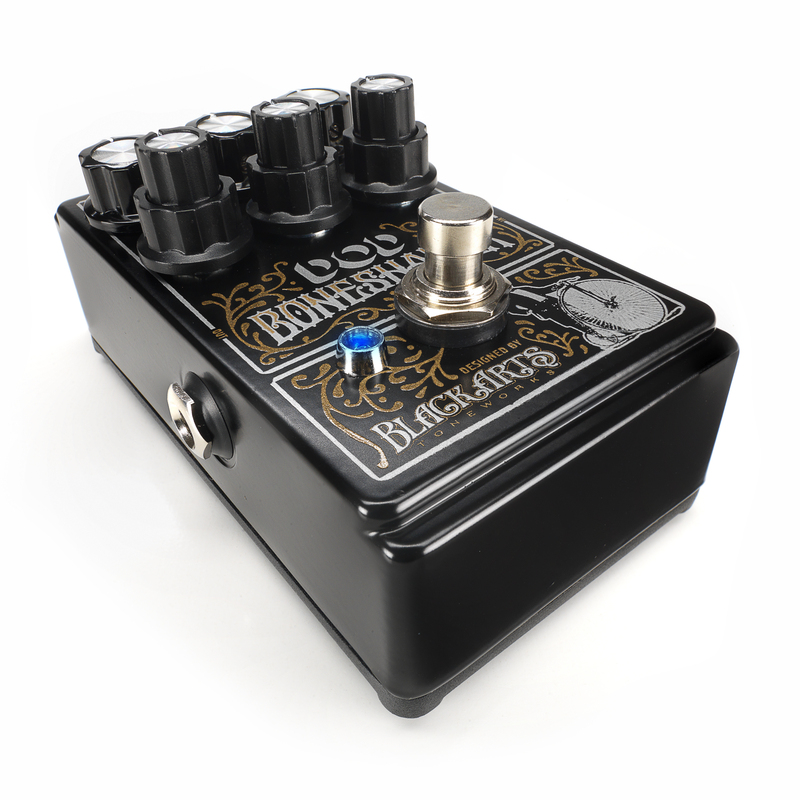 In addition to the Boneshaker’s Distortion, Depth and Level controls, it also features independent Low Level, Low Frequency, Mid Level, Mid Frequency, High Level and High Frequency controls. 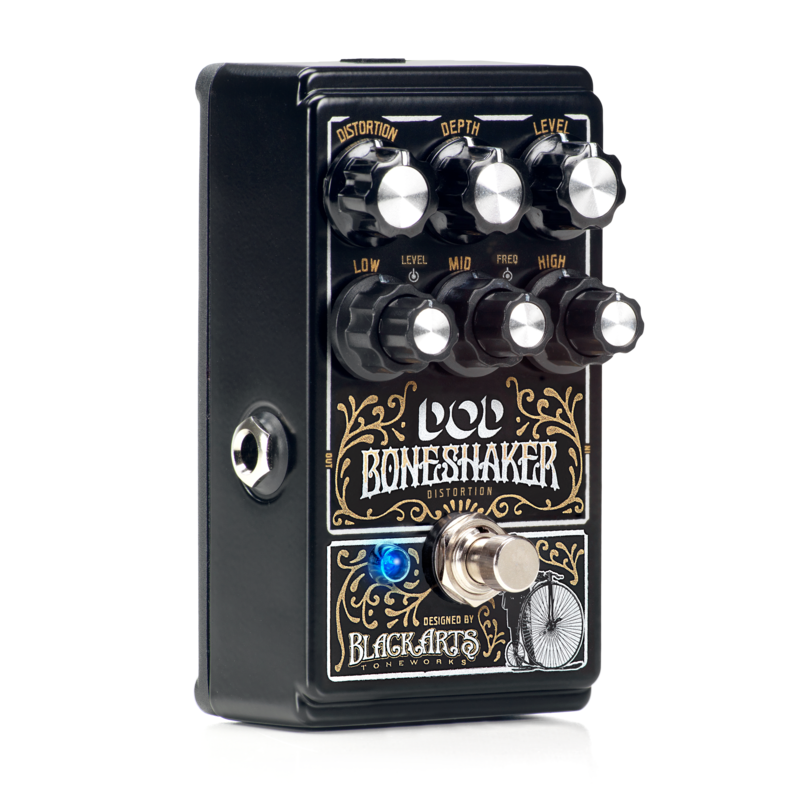 It’s that incredibly versatile 3-Band Semi-Parametric EQ that makes the Boneshaker stand out from all other distortion stompboxes. 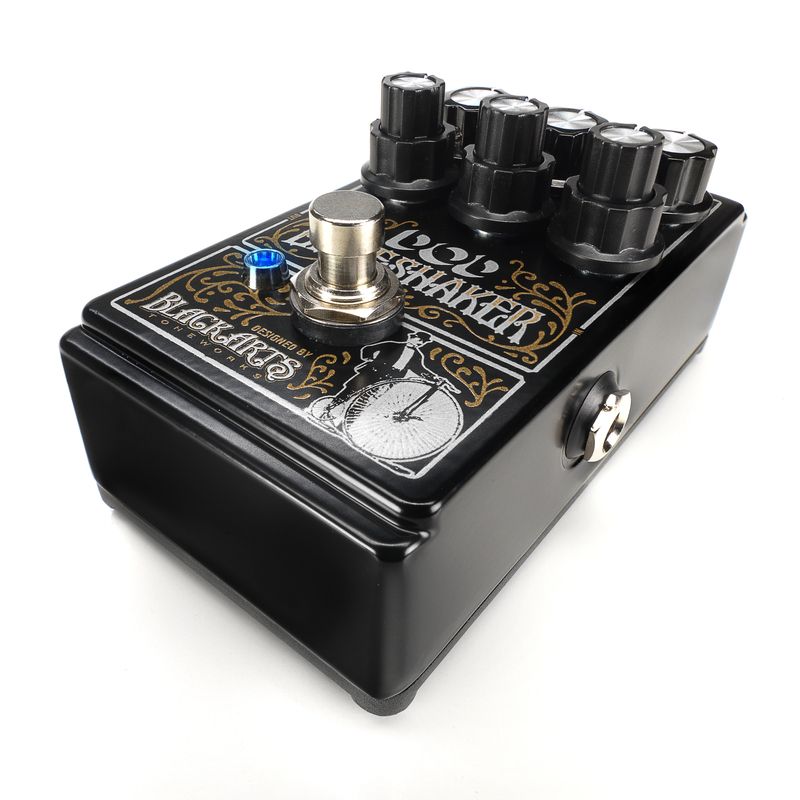 Grab one of its EQ controls and hold on for the tone-shaping wild ride of your life. Each EQ stage can be overdriven. If you dial in a frequency and then dime the level, that frequency will distort. 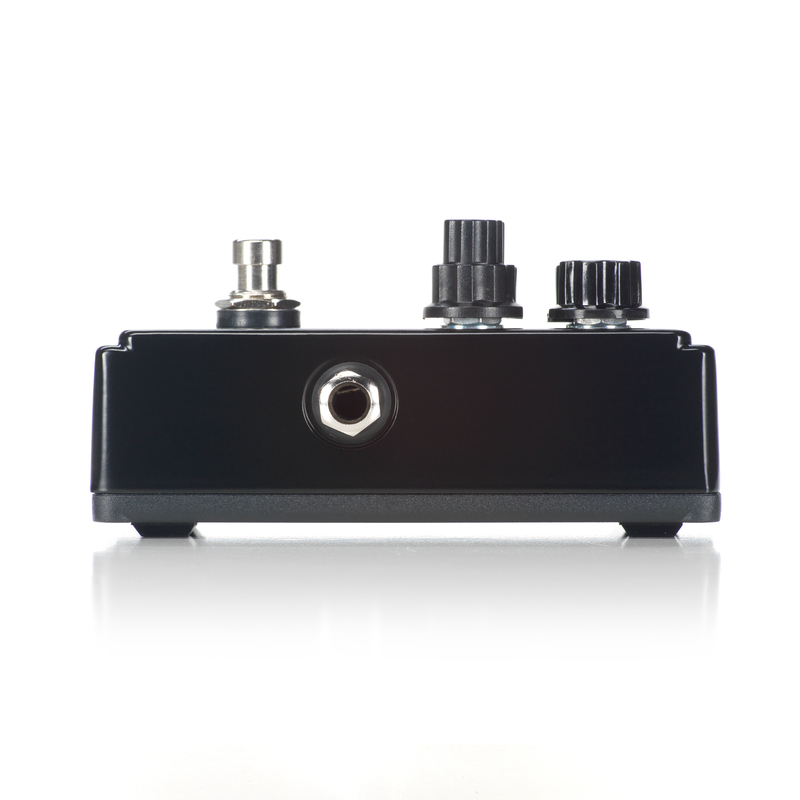 You can then use the early travel of the Gain control to fine tune the overall distortion. 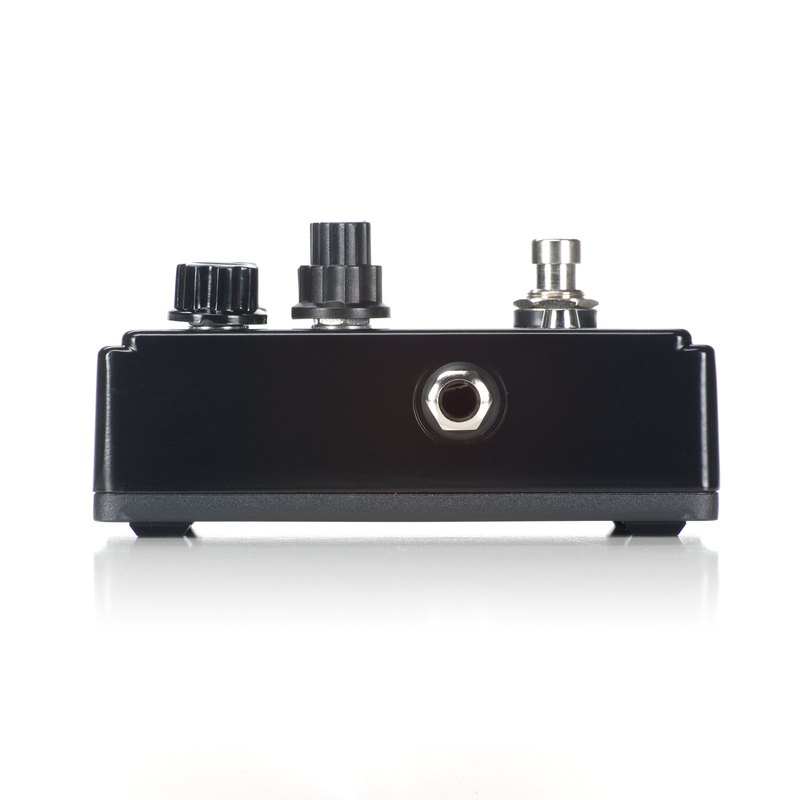 The Depth knob is a subtle bass-cut and controls the amount of low-frequency information that is allowed into the circuit - So it acts as a "tight" control. As you turn the knob clockwise, it reduces the amount of lows. 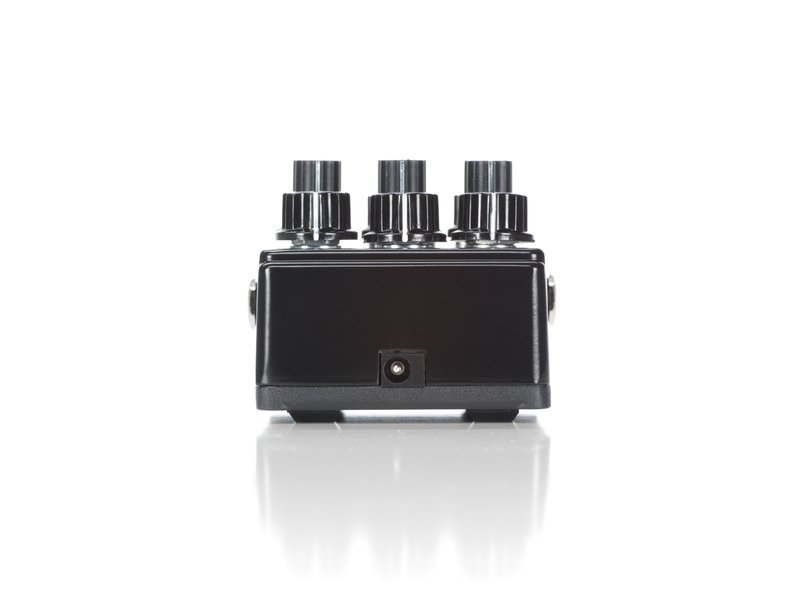 This helps to reduce "flabbiness" that can occur with distorted very low frequencies, especially on an already overdriven channel into an oversize cab. 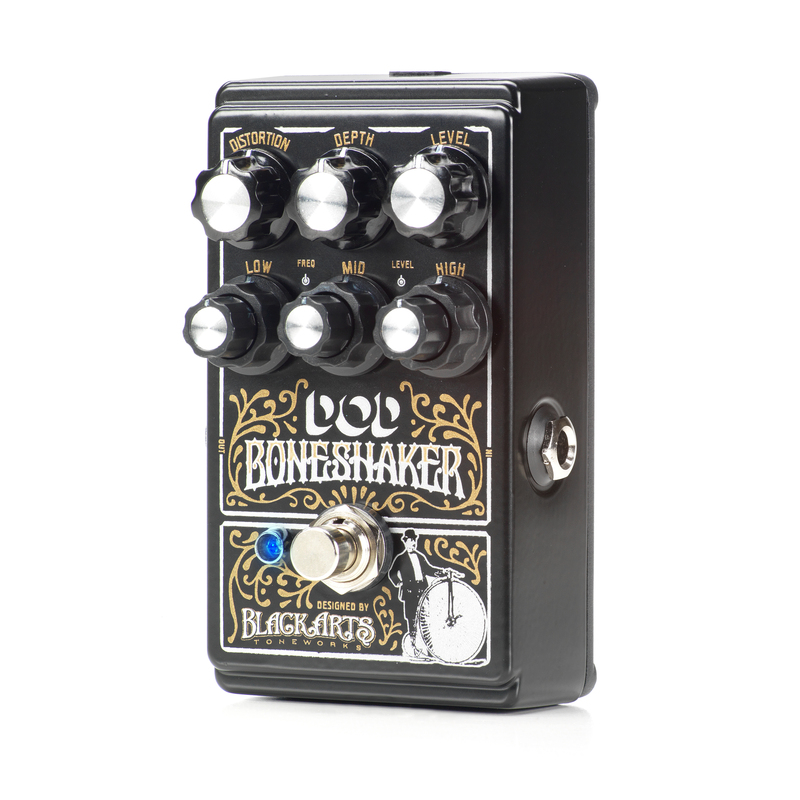 The Boneshaker is capable of some really aggressive but controllable low to mid-gain tones. Many guitarists are finding that the "everything at noon" setting is a perfect gritty rhythm sound. WHY DOES THE GAIN POT FEEL DIFFERENT? The Boneshaker is unique in that the RE is between 2 gain stages. What this means is that you can drive each EQ band into distortion separately. When you are using the Boneshaker in this manner, then the early first half of the sweep becomes more useful, kind of like a fine control. 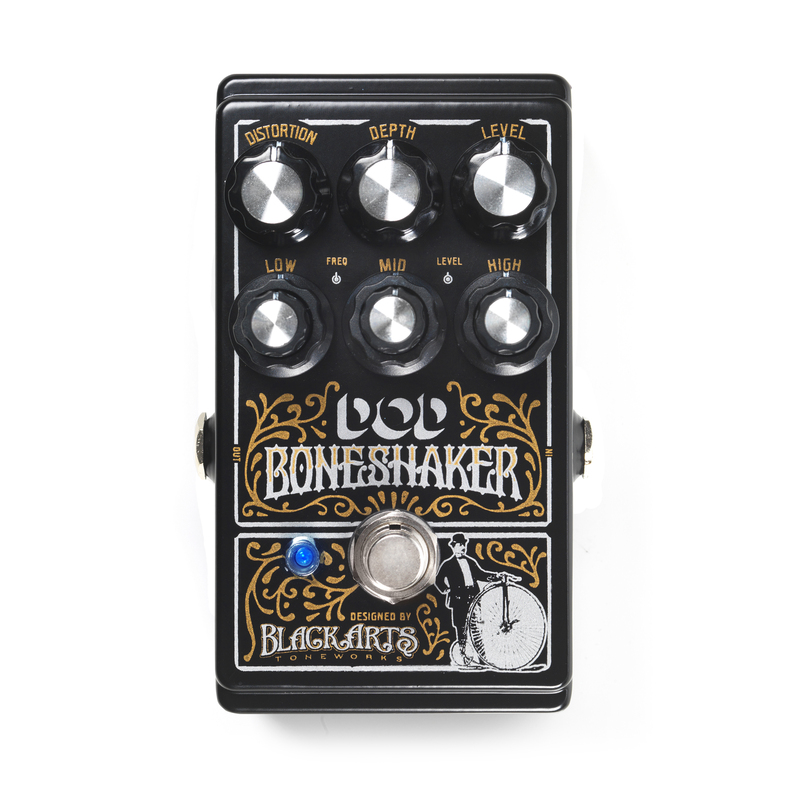 What does the Depth Control on the Boneshaker do? The Depth control is a 5% cut at max, not a boost, centered around 120Hz, intended to add clarity to a low B or other extended range bass played through 12 or 15 inch speakers at higher volume. It is very subtle.